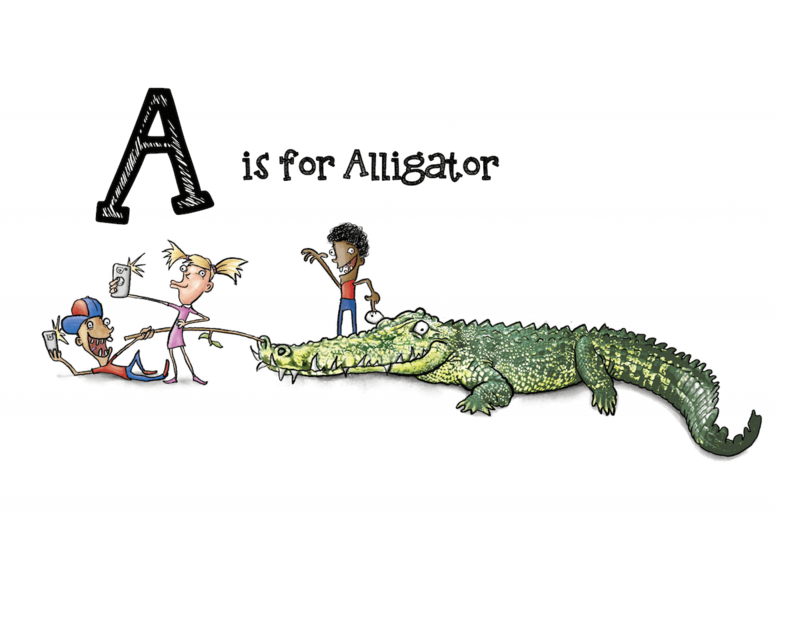 A is for Alligator. 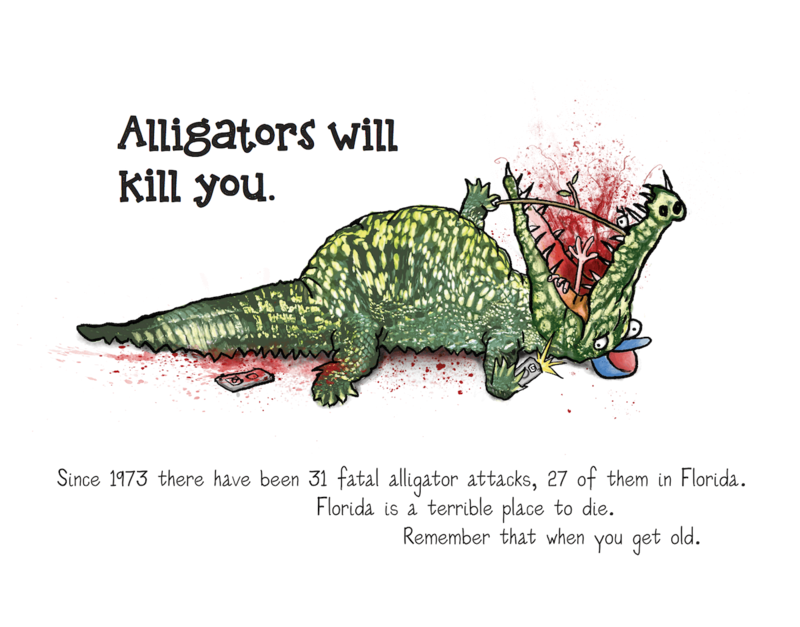 Alligators will kill you. Since 1973 there have been 31 fatal alligator attacks, 27 of them in Florida. Florida is a terrible place to die. Remember that when you get old. ABC Death is a hilarious, nerdy picture book for folks of all ages. 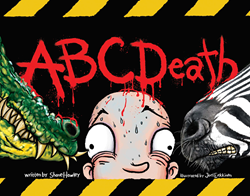 Written by Shane Hawley with intricate cartoon illustrations by Joel Erkkinen, ABC Death takes you on a journey through the alphabet of animals that can kill you, especially if you make poor life choices. From drunk vengeful dolphins to toxic newts, you’ll never see the alphabet the same way again. Full of fun, grisly facts for the inquisitive child and wry humor for all readers, ABC Death is a macabre treat for children and adults alike. Hawley and Erkkinen celebrate the release with a show at Icehouse MPLS in Minneapolis, MN on December 9th. A Is For Alligator Alligators will kill you.